The Charles Allen Nature Preserve is an 80 acre outdoor classroom located in the rolling Ouachita Hills Region near Columbia, Louisiana, about 30 miles from the campus of ULM. 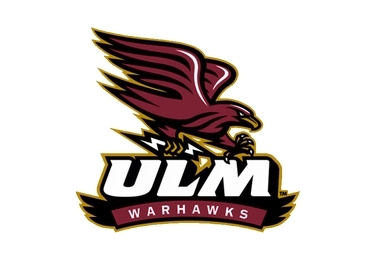 The property was donated to ULM in the year 2000 by Dr. Harry Winters in honor of Dr. Charles Allen, a former ULM professor and accomplished botonist in Louisiana. Over the years, Dr. Winters and Dr. Allen have co-authored several books on the plants of Louisiana and the Gulf South, but CABS is arguably one of their greatest contributions to the state. Efforts are currently underway to make CABS more accessible to ULM students and faculty and develop a master plan for the property. In the future, we hope to make CABS a premiere site for researchers through the state and region. On October 29, 2016, ULM biology students (including members of the Nu-Gamma Chapter of Tri-Beta, the National Biology Honor Society) and faculty will lead hikes through the rolling Ouachita Hills near Columbia, LA. This event, led primarily by students is meant to showcase the outdoor classroom - the ULM Biological Station and Charles Allen Nature Preserve. During this all-day event, participants can expect to hike through high ridges and bottomlands on a mission to spot and identify as many life forms as possible: birds, plants, reptiles, amphibians, mammals, butterflies and more! Click HERE to register for the 2016 BioBlitz! Nature Hike 1: (Biota of focus: Reptiles, amphibians, mammal tracks and signs but anything goes! 4:30 – Final taxa count announcement, thank you and see you at 2017 Bioblitz!